The most beautiful thing about music is that it touches the soul like nothing else. That has been the key for Grammy award winning songwriter Adonis Shropshire as he’s been able to impact the lives of many with his approach to music. Starting out under Bad Boy in the early 2000’s, Adonis has become one of the most prolific writers of our generation as he’s worked with everyone from Usher to Mariah Carey to Jennifer Lopez. YouKnowIGotSoul had a chance to speak with Adonis about his past work with Bad Boy, his new artist Georgia Reign and his thoughts on the state of R&B. He also reflected on some of his biggest hits and talked about the process behind some of his favorite songs. YouKnowIGotSoul: I read that you originally started out working with the group Blaque on their debut album. Talk about that whole experience and how it came about. Adonis Shropshire: I was in a singing group that was trying to do a production deal with Left Eye from TLC, so during that time we were performing at this club and Left Eye was frequent in that club with the girls. My group and that group became friends. I was the only one that expressed interest in being a producer and songwriter from my group and one of the girls’ dad in their group was the vocal producer for the album. I guess he took a liking to me and he invited me in their sessions. He had me vocal produce a few records by teaching and guiding me. YouKnowIGotSoul: Unfortunately we lost Natina Reed not too long ago. What do you remember about working with her? Adonis Shropshire: Just the craziness. She was definitely the character of the group. She was funny and always cracking jokes. She was really creative and brilliant with songwriter. She wrote most of the records as well. She was a very good songwriter. I was really sad to hear that because we were all kids growing up in this game and it kind of shocked me. I wish her family well and I’m praying for her son and everyone that’s involved. YouKnowIGotSoul: You started out working with Bad Boy afterwards. Talk about working with Diddy and that whole experience. Adonis Shropshire: That is probably the biggest learning experience I’ve ever encountered in my whole life. I think the knowledge that he passes on just from you being around him is amazing. For him to take a chance on a kid that had never had written a record for anybody professionally, that speaks volumes about his brilliancy in the music industry. I really appreciate him for that. Those were the greatest moments as far as learning that I’ve had in my career. YouKnowIGotSoul: Since you wrote both of these songs, which song do you think is better: “I Need a Girl” Part 1 or Part 2? Adonis Shropshire: That’s typical to say. *Laughs* We wrote both songs at the same time in the same session. Wow, I don’t know. I guess it’s like choosing if your son or daughter is your favorite. I’ll say both for different reasons. I’ll say the first is better because it was my first time hearing a song I wrote on the radio, but the second one beats the first one because that’s the one everybody really remembers. Both of them just have that special place in my heart. YouKnowIGotSoul: What would you consider to be your greatest success? Your first placement was on Jennifer Lopez’s “J.Lo”, you had consecutive hits with “I Need a Girl”, you had “My Boo” by Usher which won a Grammy and you also had a lot of placements from 2005-2007. Adonis Shropshire: Probably the Usher record. More so not because that was by far the longest number one I’ve had. That song was number one for 14 weeks. I would say “My Boo” is the greatest success not only because it was the longest number one I had at 14 weeks, but Usher’s album subsequently went onto sell 25 million records worldwide. I think that coupled with the fact that the album at one point had stalled and then they put that record out and it went onto do what it did. It makes me feel like I was vital in the record sales of that album. Maybe not the whole thing, but for the part that I played a part in. I think that really speaks volumes about what one record can do for an album. YouKnowIGotSoul: I’ve had a chance to speak with your production partners Bryan-Michael Cox and Kendrick Dean. They both mentioned that the writing process when you guys worked together starts out with a conversation. Talk about that process. Adonis Shropshire: A lot of times an artist will come in and they’ll be going through something. We’ll just start talking about a real situation that they’re going through and in the middle of it, there are certain things that they’ll say and I’ll be like “That’ll be good for a song.” Of course with their permission, I’ll be like “Let’s write about that.” I’ll go in the booth and I’ll write about whatever it is and it becomes more real to them because it’s something that they’re going through. A lot of times different situations that you go through are the same. The key to song writing is to write something that is personal, but the entire world can understand because that’s the whole point. You want to speak to the fans or the multitude. I think those real situations always resonate more than fabricated ones, so that’s why we do it that way. YouKnowIGotSoul: Even though we know you as a songwriter, you’ve also had a hand in producing tracks. Talk about that because a lot of writers stick to just writing but you’ve dipped into the production side of things. 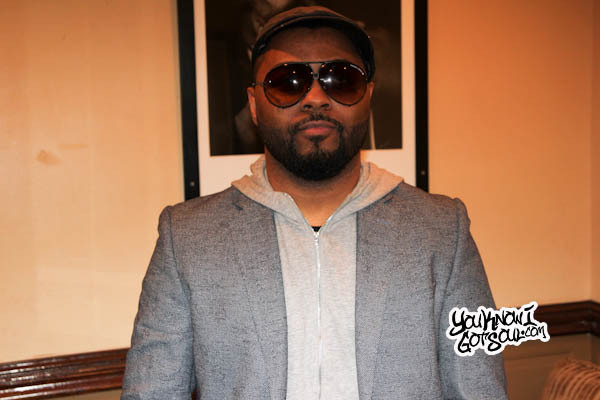 Adonis Shropshire: When I first started working with Puff, Mario Winans, Rodney Jerkins and K-FAM, I used to love the way they would come up with tracks because they were all musical first. Rodney and K-FAM play piano classically and Mario Winans plays every instrument known to man. They all were real musicians but they knew how to craft beats. I got to a point where I wanted to stop asking people for music. I played piano myself, so I wanted to figure that out as well. It’s kind of like if you’re on a football team and Chris Carter can catch balls with one hand, if you’re Randy Moss, you can catch hands with two hands but you want to catch with one hand because it’s an added skill. So that’s where it came from. I just wanted to add another skill to my creativeness so that in the event that we can’t get a producer in a session or in the event that we’re in a session and the artist wants to create a brand new song on the spot, I don’t have to call another guy to come in and do something that I could do. YouKnowIGotSoul: As far as the state of R&B right now, sales are really low. Has that affected you as a writer? Adonis Shropshire: It has especially for me because I’m a volume writer. I may have three or four songs on an album versus another writer who may one song on the album, but that’s one of the singles. For me I’ll get the third single but I’ll have three or four songs on the album, so album sales really generate a lot of money for me. Now that album sales are not selling, then of course you don’t generate a certain amount. It affects you in different ways and even the guys who were getting singles, now that one song that they’re placing that’s the single, they’re not even getting that placement now. You just have to be creative about the ways you get on this album and that you sell your records because it definitely affects the way that the labels look at it because records are not selling the way that they’re used to. YouKnowIGotSoul: I’ve spoken to other producers that instead of chasing placements, they’re more so into developing artists. Is that something you’re looking to do? Adonis Shropshire: It’s interesting that you ask me that because right now we have an artist named Georgia Reign. She has followers on Twitter and she has two or three videos on YouTube that are at 200,000 views. It’s something that we really are developing. I think she’s an amazing talent, she’s a songwriter as well. She wrote the Chris Brown “2012” record with me that’s on “Fortune”. She’s Grammy nominated now so I want to say congratulations to her. I’m very excited about what we’re doing with her and we’re just ready to shock the world. I think it’s time for new artists to come through. Every so often, every decade, new artists come through and a few of them really have staying power and I think she’s one of those that will have staying power. YouKnowIGotSoul: What is it about her that makes you want to work with her? You’ve worked with so many big artists already. Adonis Shropshire: I think it’s her independence with her creativity. She really doesn’t need me to write records with her, but the way we create is incredible when we create together. I can also give her music and she can do it on her own. Secondly she’s a star. There’s no question about and maybe that should be the first thing, but there’s no question about her superstardom. It’s really something that I’ve never seen before from somebody who hasn’t been trained or has had teaching from labels. It’s just naturally in her and that right there was the most important thing to me. Besides the fact that her voice is beautiful and she’s pretty and all of that, it’s the fact that she doesn’t need me to make hits. She’s a bona fide star. Adonis Shropshire: Me and Makeba wrote that record together. We had already been doing some work for B2K and Chris Stokes expressed that he was working with Omarion’s little brother. They brought him in the studio and we did that record on the spot. YouKnowIGotSoul: Next is B2K’s “One Kiss”. Adonis Shropshire: That was a record me and Johnta Austin did together. Me and Johnta wrote another record together for something else and he found out I did tracks, so I gave him a track and he wrote it. Chris Hicks placed the record for us and I went out to record it on B2K and that’s how I developed a relationship with them. YouKnowIGotSoul: How about Mariah Carey “For The Record”? Adonis Shropshire: That was actually a great experience. That was me, Bryan-Michael Cox and Mariah. We all sat down, we had been working with Mariah for about a week. We were just coming up with different ideas. Mariah is a star who is probably talked about the most and there’s a lot of rumors. She wanted to at least set the record straight so that’s how the song came about. She just wanted people to know “Listen, this is really what it is.” She’s a brilliant songwriter as well. The melody she chooses and the way she goes about writing her records, it was an astonishing process just being involved with that record with her. YouKnowIGotSoul: Then we’ve got Ginuwine “Last Chance”. Adonis Shropshire: That was me and Bryan-Michael Cox. 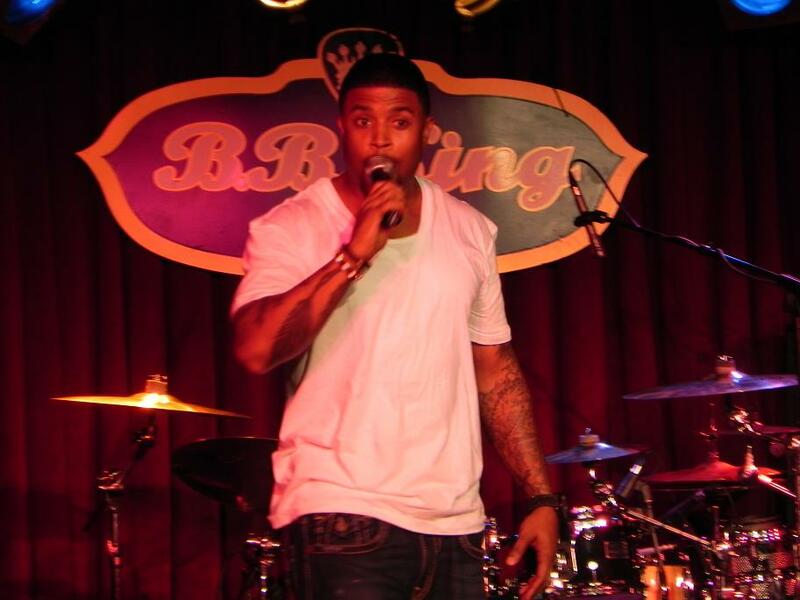 We were working with Ginuwine. We had done a few other ballads and Ira Dewitt who was his label head expressed that she wanted to go with a ballad as the first single. Once she said that, of course me and Bryan, over the years a lot of our singles have been ballads. We knew exactly what she was trying to ask us to do, so that’s how we came up with that record. It’s basically a man pleasing for his last opportunity to show a woman that he’s serious about being with her. That’s how that record came about. YouKnowIGotSoul: What about the single you did for Mario Winans, “Never Really Was”? Adonis Shropshire: Mario had a beat and it was that sample in the beginning. He showed me the sample first and was like “Yo I think I got a verse.” He showed me his verse and I wrote the hook. A lot of these joints just come out. It’s not even a struggle because it’s just real life situations. YouKnowIGotSoul: Then we’ve got Faith Evans “Don’t Cry”. Adonis Shropshire: Oh man, that was one of my favorite records. Faith and Meelah from 702 were coming up with verses and melodies. I came in with the hook and the bridge. Actually if you listen to the record, you can hear me singing on the bridge. That was a great process too. Faith is another talented songwriter that I enjoyed working with. It was very interesting working with her after growing up listening to her and then finally being in the studio with her. It was incredible to me. YouKnowIGotSoul: Finally, Brandy’s unreleased song “Cry”. Adonis Shropshire: At the time Brandy was going through management change. Her management that she was with was also managing Bryan, so they wanted her to go in with me and Bryan. We went in with her at Track Record in Los Angeles and it was during the time when she was going through the whole thing with being married or not being married. It was a very vulnerable time for her, so we just came up with something that we felt was indicative of the time period that she was going through. We were supposed to do her whole album at the time. We spent a lot of time with her, so those records that came out of those sessions are still some of my favorite records that I’ve worked on. Even though they’ll probably never come out, I love those records. YouKnowIGotSoul: How does it feel for you as a writer when a song you write doesn’t come out because of label politics? I know you spend a lot of time working on these songs. Adonis Shropshire: It doesn’t bother me because you have to understand that just because they don’t buy it doesn’t mean it won’t get sold. There’s a lot of records that I may have written on Joe but I ended up placing it on Mario. It’s not a waste of time because it’s still property that can still be monetized. If they don’t take it, you just have to be creative about who else you can send the record to. I know it bothers some people, but it doesn’t bother me. YouKnowIGotSoul: We haven’t really heard much from you aside from the Chris Brown’s “2012”. Who else have you been working with? Adonis Shropshire: I’ll tell you the things that I’ve done in the last year. I did two records on Mary J. Blige’s latest album. I did the “Fa La La” record for Justin Bieber and Boyz II Men. I did a record on Joe Jonas’ album that came out. I also did a record on Bobby V. Jin Akanishi who is a Japanese artist, I did his single on his album that came out this year. As of recently, I’ve been in the studio with Omarion. He’s doing an album with Maybach Music. I did like four records on Starshell, she’s signed to Mary J. Blige’s label. Kayla Smith who is signed to Interscope. She’s Kenny Smith’s daughter. I did two records for her. A lot of other things I have been doing have been video game related or television related. I’ve been trying to add that into my repertoire as well as placing records. It’s been a fun time for me this year. YouKnowIGotSoul: I wanted to ask you about something that you and a bunch of other writers started out a couple years ago and that’s Nodeci. What happened with Nodeci?